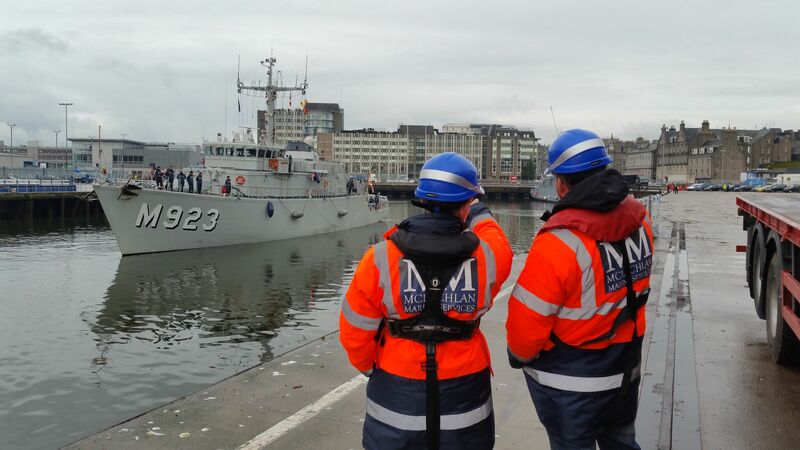 We hold a stock of safety barriers & traffic management equipment to mark cargo handling areas and walkways, we can also supply the below personnel. 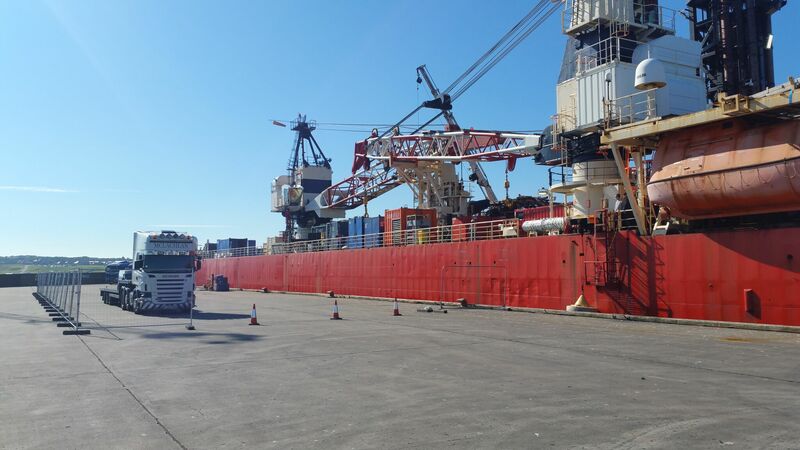 Aberdeen Harbour now request all vessels loading and unloading cargo to provide a VTMP. With our experienced team, we can supply approved plans and implement their set up and take down. 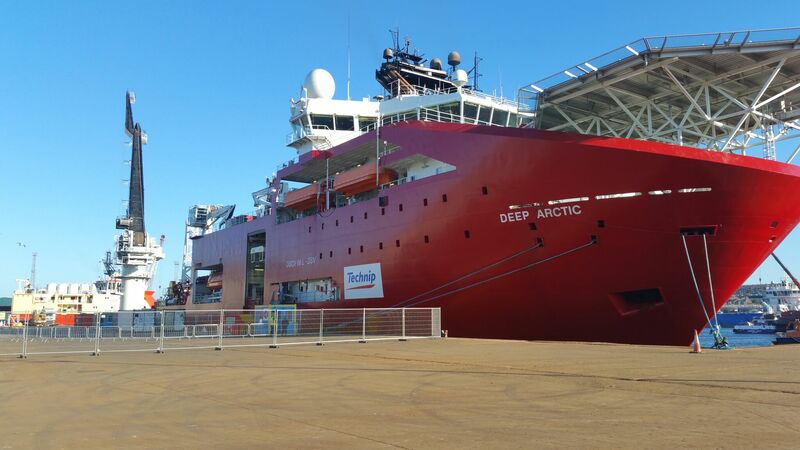 We have plans available for all berths in Aberdeen. 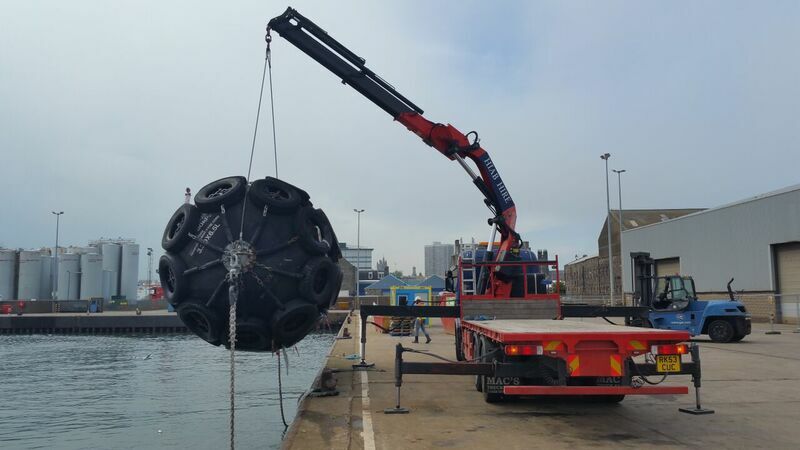 We like a challenge, we have the personnel, equipment and expertise and have taken on a variety of marine salvage jobs from the beached 9ton Aberdeen fairway buoy removal to inshore equipment subsea and waverider buoys on remote beaches. 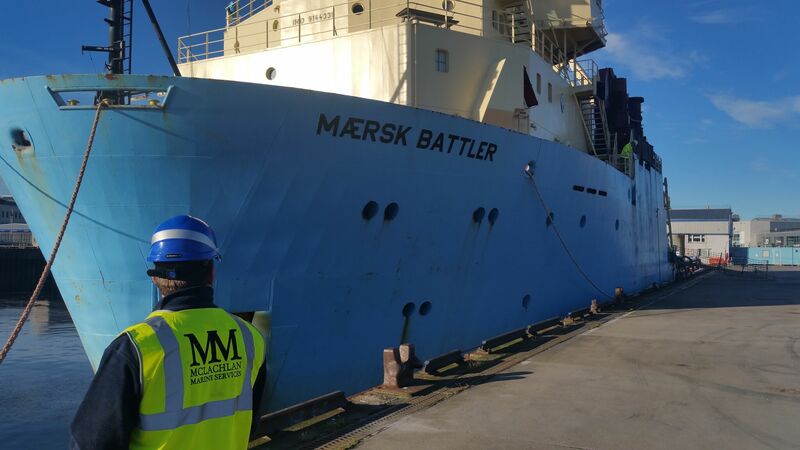 As Trelleborg’s fender agents, McLachlan Marine have extensive experience transporting and deploying fenders throughout Scotland. 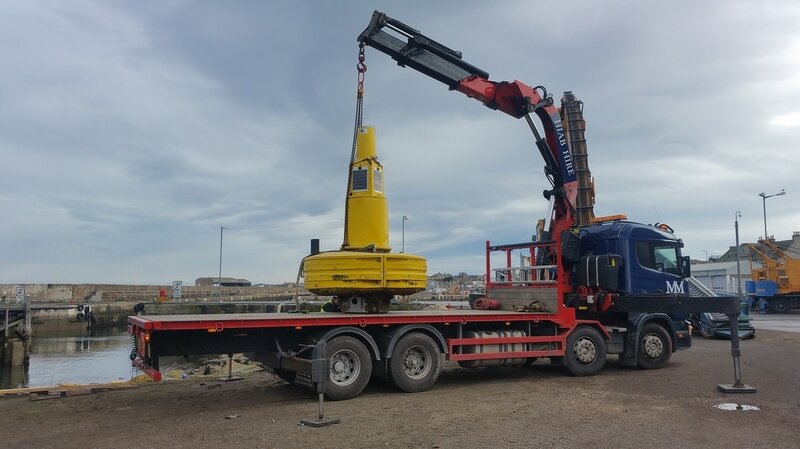 Using our own HIAB to mobilise the fenders drastically reduces the cost of hiring a crane whilst maintaining our high standards of safety. We have a small fleet of vehicles from 3.5t tail lift flatbed to 44ton Artic low loader and a 60tm HIAB capable of lifts up to 15tons.